Part of a PDF provided by State Rep. Lucy Dathan (D-142). To see the entire PDF, scroll to the bottom of the story. State Rep. Lucy Dathan (D-142). 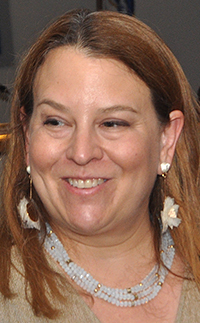 State Rep. Lucy Dathan (D-142) represents part of Norwalk and New Canaan. On Jan. 25 Dathan expressed opposition to a bill proposed by Sen. Martin Looney (D-11) which would require municipalities with fewer than 40,000 residents to join new or existing regional school districts. The letter also expressed opposition to a bill establishing a statewide property tax. On Friday she issued this statement. Our children in New Canaan and Norwalk currently receive a high-quality education that we all agree is important to maintain. One of my top priorities as a legislator is to ensure that Connecticut continues to have some of the best schools in the country. In this legislative session, over 5,000 bills (proposals for laws) have come out on a wide range of topics. The vast majority of these bills will never become law. In fact, in some cases, these ideas will not even be formally drafted into legislative language nor receive a public hearing. 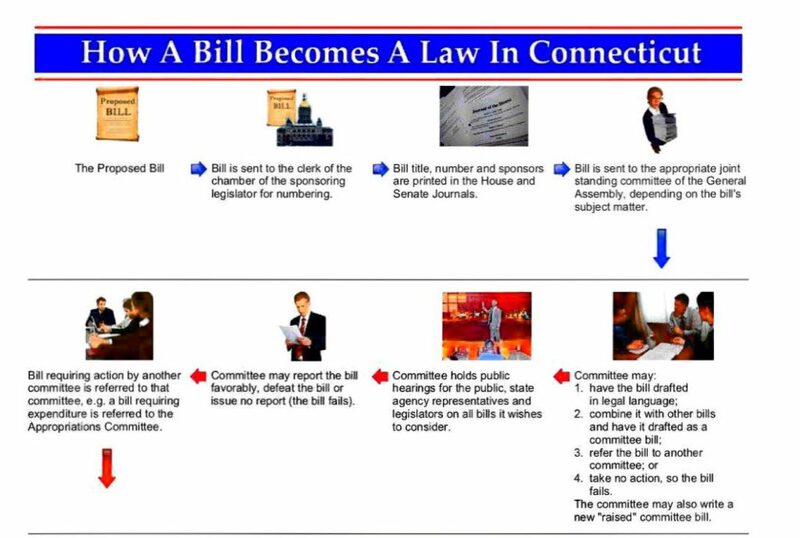 I thought it would be useful to have a picture here of the legislative process to illustrate its time-intensive and tedious nature – remember School House Rock: ‘I’m just a Bill’? Two proposals that have received a lot of attention were put forward by Senator Looney, who is the President of the State Senate. One would force regional consolidation of school districts. Another would reform our property tax system. Both of these proposals are complex issues and I thought it would be good to follow up on my statement on these two proposals from last week. As a representative of these two communities and as a part of the majority party, I am proud to have a voice in these matters in Hartford. I think I owe it to the residents of New Canaan and Norwalk to hear out every proposed bill and to encourage the creative thinking that is integral to our democratic process. But that does not mean that I support or agree with every bill that is out there. There are aspects of regionalizing certain services that do make sense, which should be looked at more closely. For example, if school districts are so small that the ratio of costs that go to administration cuts into the costs that go toward in-classroom learning, that’s an issue that should be addressed. How we address it is the question that needs to be worked through – and will require the input of experts, legislators, and citizens alike in a careful, long public process. According to our State Department of Education (SDE) there are currently over 201 districts in Connecticut, and 115 of these districts have less than 2,000 students. Is there a better way we can serve these smaller districts to ensure that the kids in those districts have equal access to a top education? While far from perfect, Looney’s bill seeks to evaluate this exact need. There is a separate bill from Senate Majority Leader, Bob Duff, which looks specifically at the regionalization of districts comprised of less than 2,000 students. Perhaps this is a better path for Connecticut to consider. It is my belief that it does not serve our children to disregard our towns’ and cities’ investment in the schools, to close schools, or to bus kids great distances in an effort to save money. In the spirit of fairness and accuracy, this is not what regionalization is. The real focus of regionalization is to is to create efficient schooling policies so that our local systems can focus on their the most important goal: ensuring equitable, quality education for every child. The bottom line is that we need elected officials that are open minded and fair minded. It is no surprise to Connecticut residents that our state’s viability hinges on the structural changes that we need to make as a state. These improvements can only materialize with constructive dialogue. We need to come together with our differing perspectives to find the best practices for our state. I look forward to engaging in these policy discussions, and having your input – that is why felt called to and am honored to represent you. I have been reading the comments made on Facebook as well as engaging in discussions in person, and I hope to have a dialogue with you at our Town Halls. Thank you for working with me to help Connecticut work better. Back peddling, We have real problems these people are just making new problems. We need real solutions. All these proposals are further dividing the people. They should think before they act. These policies were prosed to reduce costs and they don’t know wat it will save. You should understand economics before you draft legislation. They are planning on collective bargaining agreements to be agreed upon to cut costs. It is unconstitutional to deny basic human needs for special ED based on union agreements that Dathan, Duff and Haskell don’t understand. Very clearly the Unions support the Dems and promises were made. The promises lead to the unfunded pension to control the State. Very clearly the DEMS are funded by the Union. This is another unconstitutional power grab. They are creating ADA liabilities and the law firms all make contributions to the DNC. This is a vicious circle. We are so lucky to have a representative who is willing to engage in dialogue. A wide range of proposals have been made and now is the time to discuss them. Bob Duff’s school proposal would have no effect on Norwalk or New Cannan. I think we got sidetracked by a proposal for small, rural towns at the meeting at NCC. Lucy will have more of these meetings and we have the chance to talk about a wide array of issues. We have a representative willing to discuss the issues with all of us. With welfare entitlements and unions payouts consuming over 2/3rds of the state budget, why is curtailing these areas being ignored? Connecticut is becoming a vast welfare state and the Democrats appear anxious to keep growing it on the back of hard working taxpayers. This is not representative democracy. I refuse to believe the state Democrat party stands up for the middle class. Is it good practice for finance experts to accept any analysis and proposal that lacks financial numbers even on the outset? In your 25 years of accounting and finance experience and as a financial expert, how often would you begin to consider a proposal that had zero financial information provided? In the cut/paste of the pdf of the Bill Process, is it acceptable and good practice to not look at financial numbers of the Bill until AFTER it leaves Committee? Would it be a good idea, as a financial expert, to have the financial numbers earlier in the process? In reference to the cut/past of the pdf of the Bill Process, is it acceptable and good practice to add a “plain English” explanation of the bill AFTER it leaves committee and AFTER it has numbers established? How many proposals, business ideas, investment plans, analysis etc have you done where the information before you is NOT in “plain English”? Considering the following quote from you: “The real focus of rationalization is to is to create efficient schooling policies so that our local systems can focus on their the most important goal: ensuring equitable, quality education for every child.” Can you provide examples of how Norwalk and Wilton are NOT providing equitable, quality education for every child? Of those examples, how specifically will either of the 2 Bills address and correct those examples? When, to whom and at what cost? You stated, “Our children in New Canaan and Norwalk currently receive a high-quality education that we all agree is important to maintain.” How do you define high-quality education? If you score our/the education systems as “high quality”, would you agree that while we ought to maintain that “high quality”, shouldn’t focus also be on other aspects of CT that are low-quality,such as CT’s financial situation? After all, you called it “Connecticut’s budget crisis”? Is regionalization a “crisis” worthy of focus? Of the 5,000 Bills proposed, what method have you used to gauge each on it’s merits and even on what would be a crisis-type scale/ranking? I look forward to discussing these and other elements of proposals. However, before doing so, I think it is wise that the taxpayers of Connecticut hear significantly more details – those that a 25 year veteran of finance and accounting should also demand and put forth. Come on Kevin, don’t you know by now we have to pass it to see what’s in it? This is how legislation is done now. In the explanatory paragraph, it says it will permit school districts to implement later times. Of course we already have that within our own power, but this bill goes further. It prohibits not starting before 8 a.m. There is no mention of the funding of $10s of millions that will be required state wide to implement this, nor the impact of 1000s of additional bus routes on the local economy and environment. Just pass it and we’ll figure it out as we go along. This is the exact approach that has us where we are right now. And still not one bill in sight that does anything to promote and attract businesses. Mr. Flynn you are so wrong its not worth explaining. But here I go… You yourself mention the “division” that has been created, yet you seek to divide people with your comments about unions. Union members are of both parties, union members pay taxes, volunteer in their neighborhoods and are generally good people, however you and many others seek to condemn because of affiliation. I vote my conscience every time, the Union can not sway me, despite what you believe as their magical power over me and my union brothers and sisters. Get to know a Union member, they have done wonderful things for workers in this country. The 40 hour work week, weekends, sick time etc… Don’t bash us. Seek to have a conversation with us. High quality education ? For New Caanan yes. Norwalk is a different story. BOE claims few take advanced placements in math or science. And State figures show less than half of Norwal’s Grads secure college degrees in a world where college is the new “high school”. In contast almost all New Canaan’s kids graduate college and many go beyond. Money doesn’t buy “performance” in education. Our BOE claims we are competitive in school salaries with the surrounding towns. Property values remain high in New Caanan in part because of its top notch public schools. And remain falling in Norwalk not because of its schools but because of punitive taxes on homeowenrs. Few if any New Caanan folks would expect improvement from consolidation with Norwalk. And the same is likely true of Norwalk residents. No amount of additional monies can overcome consequences of substantial numbers of student from single parent families and where most students are not native English speakers. Consolidation may be attractive for smaller school districts. But not to its employees. Let us all not be fooled. Like thieves in the night, the Democrats are mobilizing and scheming to squeeze yet more taxes from financially responsible municipalities and continue redistributing to the inner cities. It is shameful that the new socialist majority has yet to think about cutting spending. Perhaps they ought to look at Puerto Rico’s bankruptcy as a template for what CT will look forward to. Where did you get this from as it simply not true. Once again please post a link to back up your claims. Thank you for following up on the subject of the two proposed bills by Senator Looney and Senator Duff. Many of us who follow NoN are aware of how bills are implemented, therefore the Schoolhouse Rock reference describing this process from a 70’s T.V. show geared toward small children is a tinge patronizing. Particularly so the other night coming from a 22 year old Senator, barely out of adolescence, with minimal real world experience. As to possible school regionalization scenario proposals, I am sure that if you speak with Norwalk residents on the topic, you will find that a great number are open-minded and engaged, and would be happy to partake in an insightful dialogue as to the pros and cons of the subject. As Norwalk is vast, happily diverse, and more like several towns under one school system already, residents could probably offer valuable input as to the topic. Unfortunately, judging by the “No to CT School District Consolidation” petition launched with fever pitch by Wilton resident Mr. Massaua, the same open-mindedness maybe cannot be expected from the large number of petition signers, most from Wilton. Perhaps what many of us would like to hear more of from you politicians in the way of dialogue is: When will you all directly address the elephant in the room issue plaguing this part of Fairfield County, which is, why is educational inequity from small town line to big city line alive and well in these modern, global times? Why has the educational inequity in this particular area, which has been so glaringly obvious to many of us who are either working in or are stakeholders in the Norwalk education sector, been ignored by politicians and allowed to breed over all these decades, to the point where it has become divisive and damaging to the local economies and to race relations in Southwestern Fairfield County? Why are CT politicians always reactive as opposed to proactive regarding this subject matter and its hugely segregating impact? These proposed bills have finally sparked dialogue on this longstanding issue, which is a good thing as long as the true purpose of the proposed bills are discussed with the communities rather than being forced upon them. Further, what will you, as a State Representative fighting for both a small town and a big city, do to educate some of the more close-minded residents of Southwestern CT as to the concept that high quality, equitable public school education is for ALL CT children, not SOME CT children? Geographic borderlines and property values should not be the determining factor as to who gets a higher quality public education or which student gets a higher cost per pupil expenditure over his or her head. When will politicians question Wilton residents as to why they feel that they are more entitled to a better education based on the value of their home and the taxes they pay? What can you, as a spokesperson for Norwalk, do to proactively drive this message of the true meaning of regionalization, which is quality equitable education for all, that you all seemed to be skirting around at the recent meeting? While we are on the topic of equitable education, I hope you and other CT politicians will also address and tackle another elephant in the room, which is the unspoken but alive and kicking business of grade boosting in some smaller Fairfield County public school systems. The topic of grade inflating has even hit the papers around here. Some of us are also aware that some schools do not declare their lowest test scores in their collective numbers, as they do not want the low scoring students to bring down the school’s higher ranking. Misrepresented data on student performance is a topic of concern as it is a disservice to the nondeclared students and it inaccurately skews reported performance numbers. Tampering with grades and omitting low test scores = cheating. It would be appreciated if politicians could perhaps approach all school districts to investigate this issue further. Or better yet, implement a bill prohibiting tampering with grades and a bill prohibiting omission of lower test scores from the collective school averaging. Now those would be some worthwhile bills. Thank you for your service, Mrs. Dathan. You certainly have your work cut out for you. Fairfield County has a long way to go before it embraces the concept of equitable education for all.